Born in Glasgow, on 17 August 1860, in a tenement at 67 Rottenrow, the son of a plasterer, Thomas Meldrum Ferris, of Kirkaldy, and Jane McIintyre; he trained as a modeller in clay and sculptor at GSA , 1879-87, under John Mossman and Francis Leslie . In 1886 his work at the school was noticed by the ornamental plasterer Robert A McGilvray (1849-1914), who awarded him a cash prize for ornamental design and offered him a partnership in his firm. Based at 129 West Regent Street, McGilvray & Ferris were responsible for the decorative carving on many Glasgow Style buildings and the carvings, statues and plasterwork for many others in the more popular Renaissance styles, with Ferris being responsible for their modelling and carving. They included all of Glasgow's important Victorian and Edwardian architects amongst their clients, and won their contracts through the tender system, often undercutting rival firms of architectural sculptors for the work and sometimes sharing the contracts with them for larger projects. Amongst the most adventurous designers they worked for were the Glasgow Style architects Honeyman, Keppie and Mackintosh, for whom they executed the carvings on the Canal Boatmen's Institute, Port Dundas (1891, dem. 1966); a memorial tablet at Bellahouston Dispensary (1900); C R Mackintosh 's plaster panels in the Willow Tea Rooms, Sauchiehall Street (1903); the carvings on Scotland Street School (1904-6); the statues on T & R Annan's Sudio, 518 Sauchiehall Street (1903-4, now RHF Museum); and the carver and plaster work on the fa�ade and interiors of the domestic Dineiddwg (Gaelic, pron: 'Dinaevig'), Milngavie (1906). They also executed the carver work on Mackintosh's Glasgow Herald Building, Mitchell Lane (1894); and Queen Margaret College (1894). Ferris also contributed to the sculpture schemes on two major buildings by the city's other celebrated exponents of the Glasgow Style, Salmon, Son & Gillespie, for whom he carved the figurative sculpture on the Scottish Temperance League Building, 106-8 Hope Street (1893-4); and the grotesque capitals on Mercantile Chambers, 36-39 Bothwell Street, the latter from models by Francis Derwent Wood (1897-8). Concurrent with his architectural commissions, Ferris operated independently as a successful portrait sculptor, exhibiting his work at the RGIFA . These include a Portrait Medallion (1885); a Study of a Head (1892) and portrait busts of Dr James Adams (1890); H Wallace (1895) and the former Lord Provost of Glasgow, Sir John Ure Primrose (1906). Married to Mary Tait Clarkson on 9 June 1890, they resided at 38 Gladstone Street, and had two sons, Thomas Murdoch (b. 1892) and James Clarkson Ferris (b. 1900). Moving his family to 12 Montague Street, together with their servant, Susan Robertson, he supplemented his income by teaching at the Glasgow and West of Scotland Technical College in George Street (now University Of Strathclyde), from September 1903 until March 1907, at a salary of �30 per session, and also taught Modelling and Hammered Metal Work in the college's annexe at the Industrial Art Rooms, 78 North Hanover Street. McGilvray & Ferris amalgamated with George Rome & Co. after McGilvray's death in 1914 and Ferris' death a few months later in 1915. Ferris died on 7 January 1915, at 304 Bath Street, his death being registered by his son, Thomas, and the cause recorded as 'Phthisis Pulmonaris', which he'd suffered from for four months. 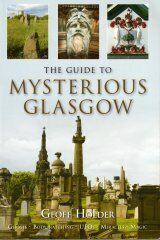 The team at glasowsculpture.com are grateful to Margaret Harrison, Archivist, University of Strathclyde, for information on Ferris' employment at the Glasgow and West of Scotland Technical College; and Caroline Gerard, for information from Ferris' census returns.